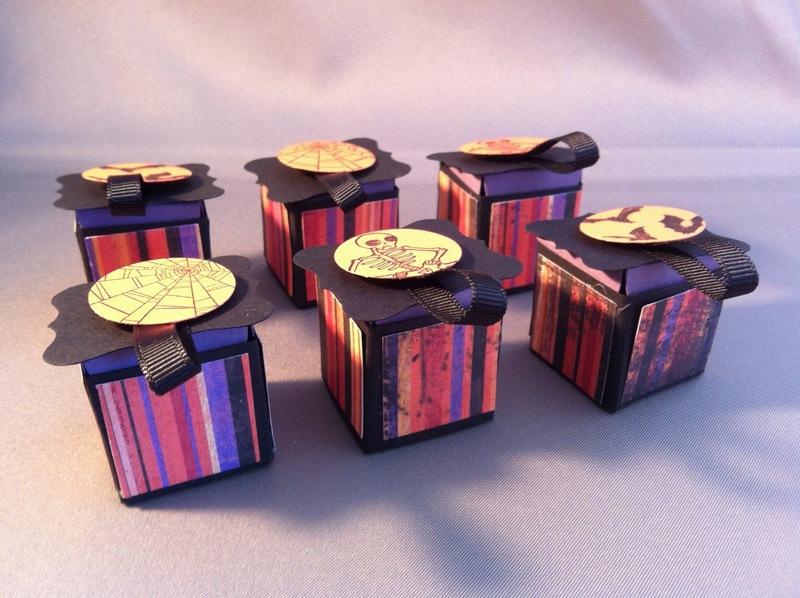 Today I decided to make a few Halloween Boxes that my friend Debbie showed me how to make about a week ago. The boxes were featured in a Stampin’ Up! publication and are the cutest things ever! 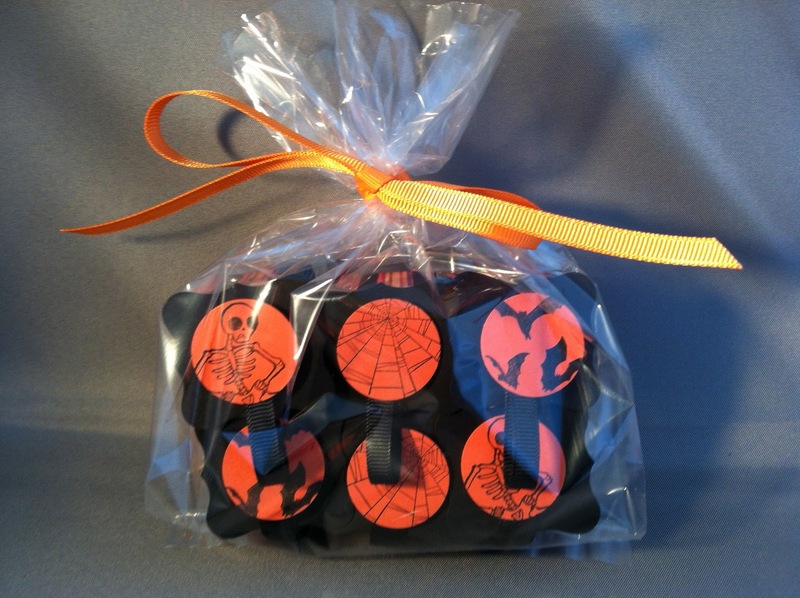 What a great idea for an adult Halloween party or have a few to pass out at work on Halloween. Just a little something to say Happy Halloween. I made this set for a friend of mine at church. I found out last week he LOVES Halloween. 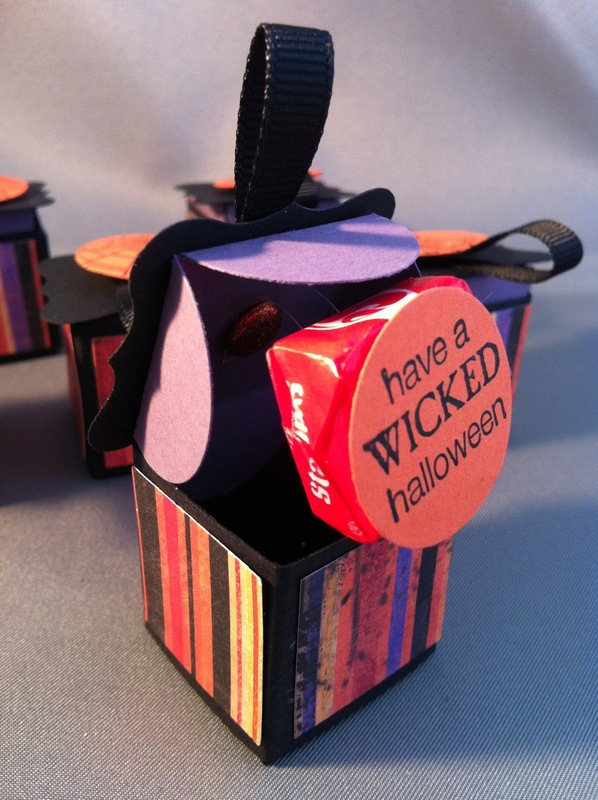 So what a better way to say Happy Halloween than with a bag of these great pop-up boxes. I hope to surprise him on Sunday! When you open the box … you get a piece of candy that pops out with a message. I could imagine these being adapted for any holiday. They are just adorable. Remember contact me for any of your custom needs… party favors, cards, treat bags, etc.